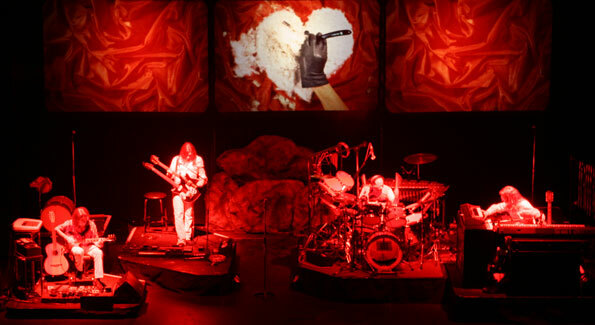 Tribute band The Musical Box recreates ground-breaking early shows of prog-rock legend. Picture this: You climb into the shiny-yet-cramped cabin of a time machine, and pull the round porthole door shut with a slam. You strap yourself in and close your eyes for what is sure to be an exhilarating ride to another time. Off you go. Yes, the ride on this particular time machine is a musical one, taking you back to the early 1970s when a band called Genesis was beginning its ascent to the top of the progressive rock world, mainly on the creative strength of its fancifully ornate lyrics, astonishing individual musicianship and dazzling theatrics mostly provided by its flamboyant and gifted lead singer, Peter Gabriel. 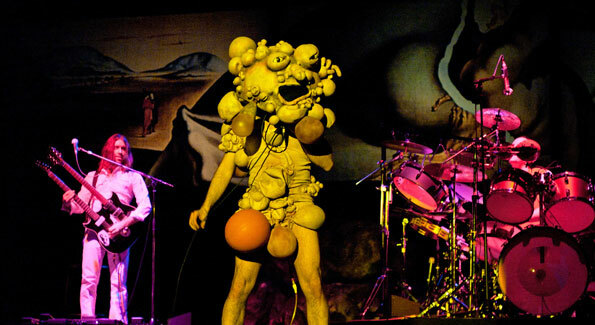 There was nothing at the time like a Genesis show, certainly never before and maybe never since. And alas, there are no time machines either, so nothing can really bring back those original shows, except the memories. Well, nothing except for The Musical Box, that is. Formed by Canadian musician Sebastien Lamothe in 1993 — to coincide with the 20th anniversary of Genesis’ epic 1973 record “Selling England By The Pound” — The Musical Box has painstakingly grown into the most well-known and pre-eminent Genesis “cover band” in the world, replicating performances from Genesis’ career with astounding accuracy in both music and show, pleasing millions of die-hard Lamb-era fans as well as members of Genesis itself. The Musical Box is reproducing an entire set from Genesis’ legendary 1973 “Foxtrot” tour, as well as a few other same-era Genesis epics, at the Birchmere on November 17. But The Musical Box — a name taken from (surprise) an early Genesis song of course — is a lot more than just a band playing great versions of songs by another artist. It’s the intense, uber-dedicated attention to detail they go through to actually reproduce the show itself — everything from not only the perfection of the songs themselves, but also to the precise details of the staging, the pinpoint exactness of the costumes — that sets them apart from many of the world’s great rock tribute acts. 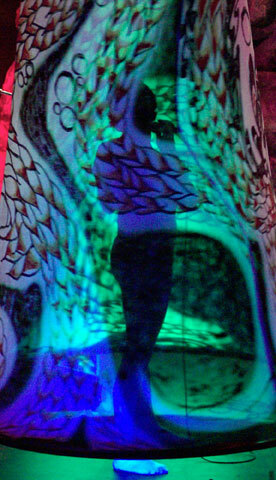 Every single detail is replicated as if it actually was that mystical bygone era, and you actually were sitting in that dark theater waiting for this new thing called Genesis to unfold in front of you. Lamothe added that musically, it’s really all about working to replicate the early machinations of Genesis by tirelessly learning the intricacies of both their playing and their presence. And with a roster like Gabriel, Rutherford, Banks, Hackett and Collins, it’s been a huge task to nail the feel. But getting nods to play in legendary venues like Royal Albert Hall in London clearly shows that nail it they have. 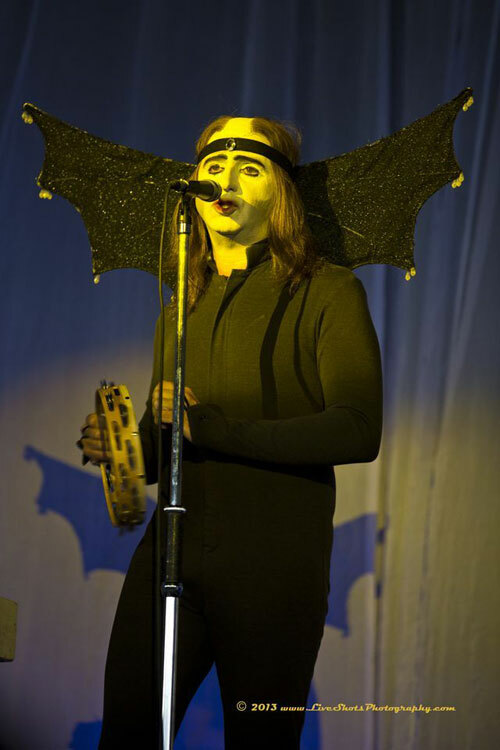 Denis Gagne, who joined the band in 1995 and plays the Peter Gabriel role on this current tour, is utterly astonishing both vocally and dramatically, acting out every Gabriel nuance to a tee while lavishly adorned in exact replicas of the wild costumes Gabriel used to wear on these early tours. If you squint, you swear you are back there seeing the real McCoy…or Rael as the case may be. Lamothe is clearly proud and justifiably so, of The Musical Box’ ability to do more than ample justice to those ground-breaking early Genesis shows, an era when the blend of theatrics and rock and roll were blossoming, and the stories were being told by musical geniuses ahead of their time. And it’s because he and his bandmates have spent the better part of their adult lives immersed in everything Genesis that they feel they have a special responsibility as caretakers of this incredible music. The Musical Box performs Sunday, Nov. 17 at the Birchmere, 3701 Mount Vernon Ave., Alexandria, VA 22305. $39.50 available 703-549-7500 and online here. Steve Houk writes about local and national music luminaries for vps3.washingtonlife.com and his own blog at midliferocker.wordpress.com. He is also lead singer for classic rock cover band Second Wind.